Osaka was the last stop of our two week trip to Japan, and we had originally planned to spend two full days there. However, we made a last minute decision to stop off in Himeji along the way, to check out the newly restored castle. 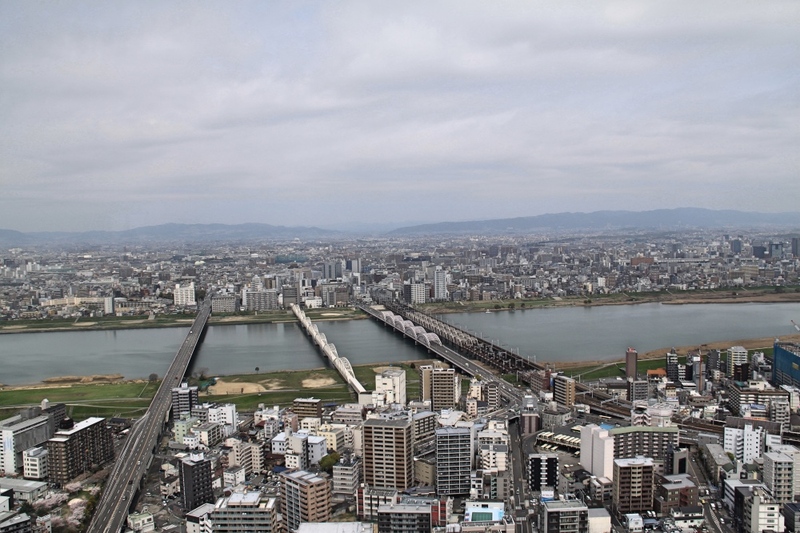 We ended up spending a good part of the day in Himeji, arriving in Osaka late afternoon. That only gave us a single day to explore the city. 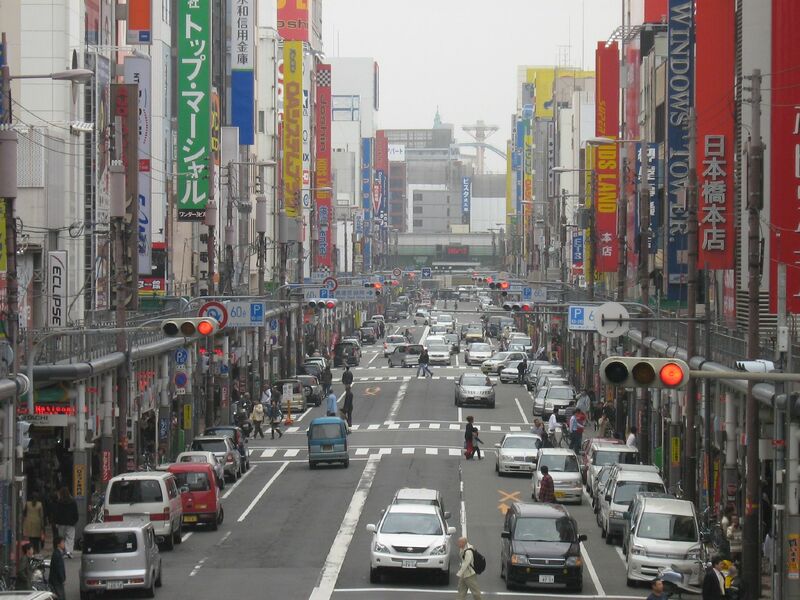 Of course, one day in a metropolis as big as Osaka is nowhere near enough, especially since Osaka has so much to offer. But it was enough for us to get a small taste of this amazing city. 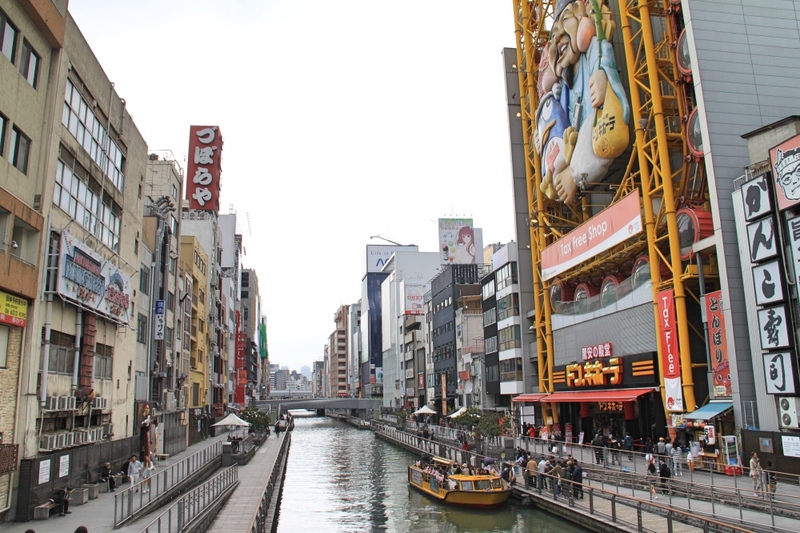 Dotonbori runs alongside the Dotonbori canal and was the highlight of our stay in Osaka. You just cannot visit Osaka without checking out this area. It’s the heart of Osaka, the centre of its nightlife and the city’s foodie mecca. There are colourful billboards, heaps of restaurants, and endless food stalls. 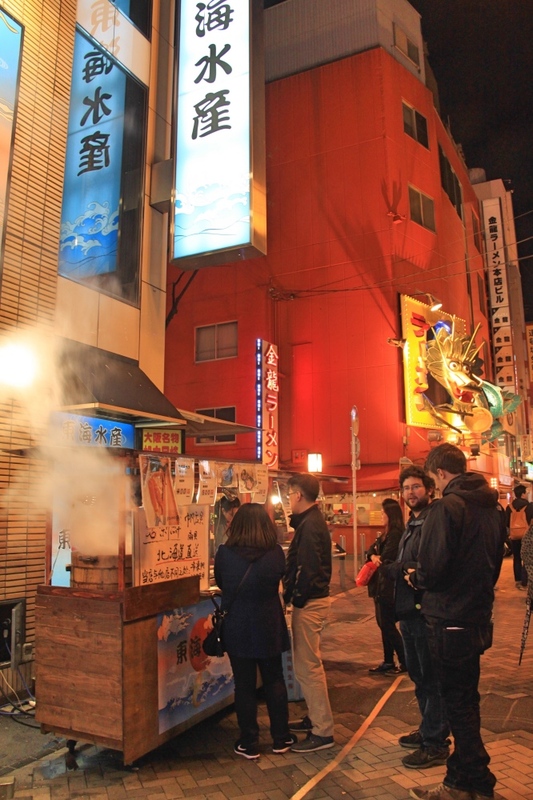 Giant models of food such as Octopus, blowfish, and gyoza hang from restaurants’ facades. 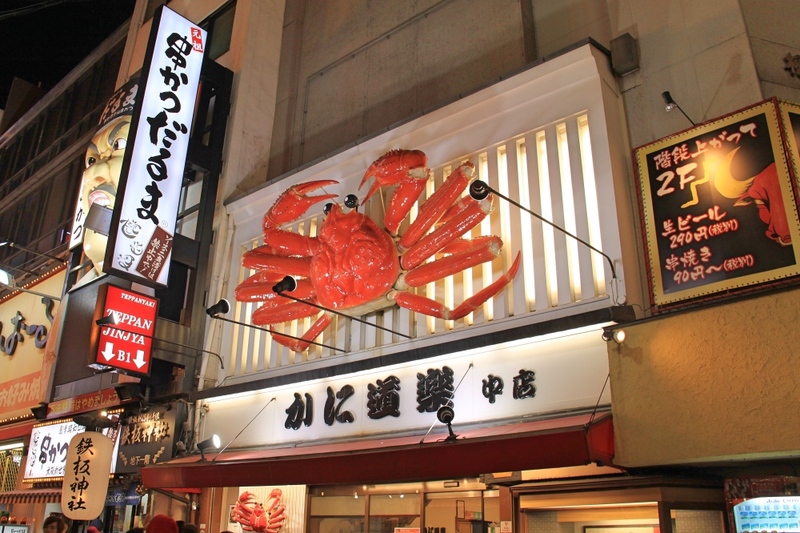 The most photographed facade is the big crab Kani-Doraku! 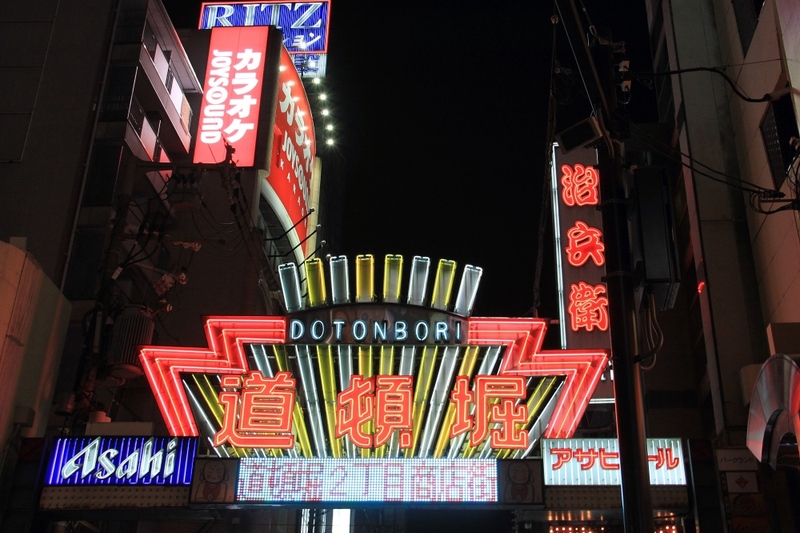 Dotonbori is eccentric, trendy and the best place for people watching. It’s also the busiest part of town though, so be prepared to face the crowds. Ebisu Bashi is a famous bridge crossing the Dotonbori canal. 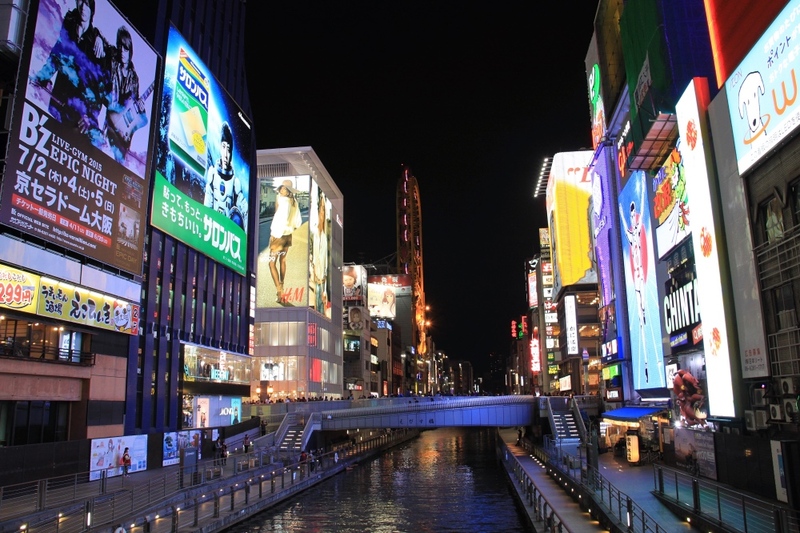 It offers the best views over Dotonbori’s famed neon nightscape. From this bridge, you can take the perfect photo of the Glico Running Man, one of Osaka’s famous icons. From here you can also head down to the pedestrian walkway for a nice stroll along the canal. Ebisu Bashi and the Dotombori Canal. Shinsaibashi is Osaka’s premier shopping district. It’s huge, housing close to two hundred shops in a 600-meter long street. 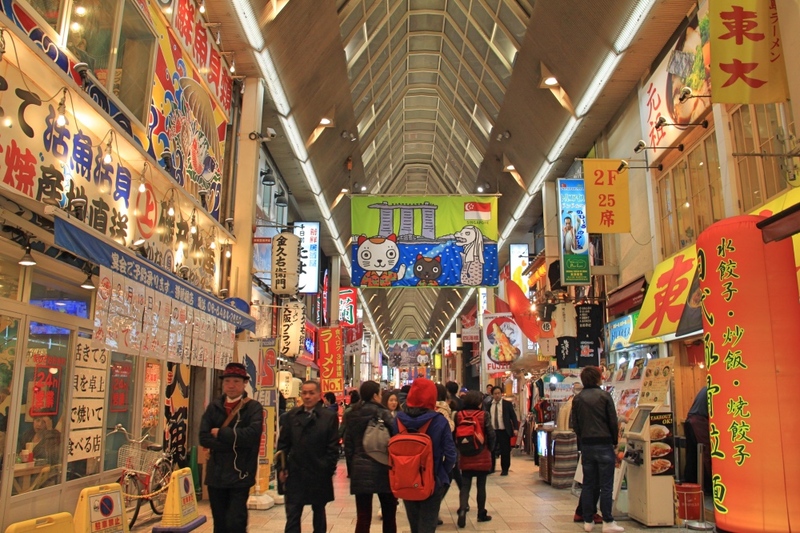 It has been Osaka’s most important shopping area for four-hundred years. You will find Japanese brands, but also your favourite international labels. We saw some quite odd shops there. My favourite was this canine clothes store. Yes, a store selling only clothes and accessories for pooches. They were the cutest clothes I had ever seen! Luckily the outfits were mainly made for small dogs, so our Bernese Mountain Dogs escaped humiliation! The Kuromon Ichiba Market is known as Osaka’s kitchen. This undercover market has almost two hundred shops and sells everything needed for Japanese cooking. There are stalls selling the freshest ingredients, such as fish, seafood, vegetables, and Kobe beef. They all come from regional sources. You can even find cooked food there if you’re in the mood to eat straight away! Den Den Town is Osaka’s version of Akihabara in Tokyo; it is famous for selling electronic equipment. Here you’ll find the latest products from Olympus, Canon, Panasonic or Sony, at a discounted price as well. Den Den Town also sells lots of themed merchandise for fans of manga and anime. 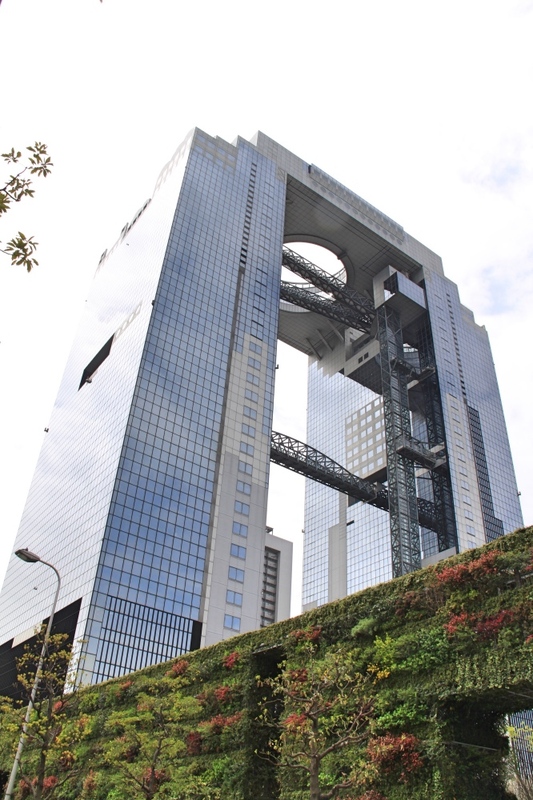 The 173m tall Umeda Sky Building is Osaka’s most iconic structure. It was designed by Hara Hiroshi, who also designed Kyoto station. It’s home to the Floating Garden Observatory which gives you 360-degree panoramic views of the city. Getting to the top is half the fun because for the final five floors you need to ride the world’s tallest escalator. At the top of the building, two glassed-in escalators cross the void between the twin towers. It’s not for people who are scared of heights! Looking up at the Umeda Sky Building from the ground. 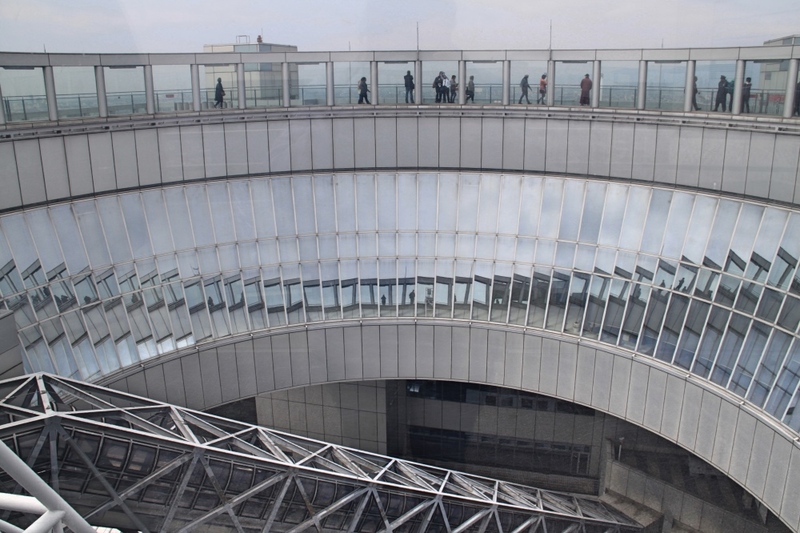 The observation deck of the Umeda Sky Building. A great view from the top! 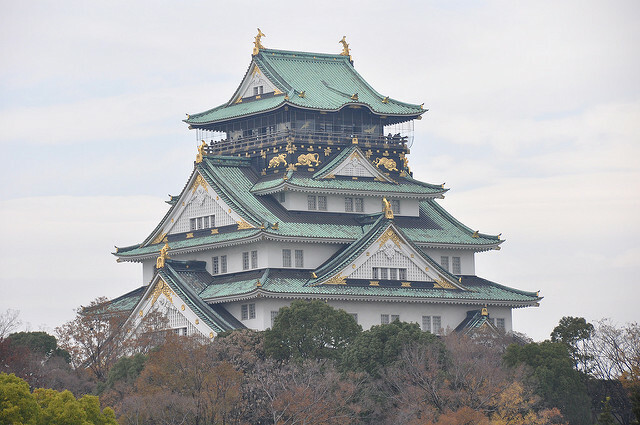 Although Osaka Castle is nowhere near as impressive as Himeji, it’s a popular attraction in Osaka, especially for first-time visitors. Unlike Himeji, this isn’t the original castle, but rather a concrete reconstruction from 1931. The original castle suffered many turbulent times including wars, lightning strikes, and fire. Along with an observation deck, you will find an informative museum inside that describes the castle’s history. Stroll around the grounds to get the best views of the castle itself. Dotonbori is the best place to experience Osaka’s food culture, with many types of eateries available on its main street or side streets. 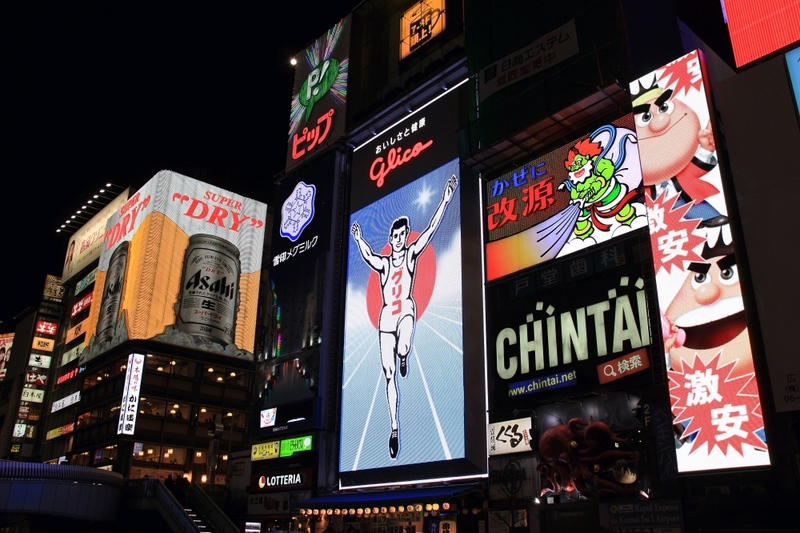 In Dotonbori you can try all of Osaka’s specialities. A street food vendor in Dotonbori. Takoyaki is grilled Octopus. This snack has a filling of octopus slices, pickled ginger and green onion, covered in a flour and egg batter. 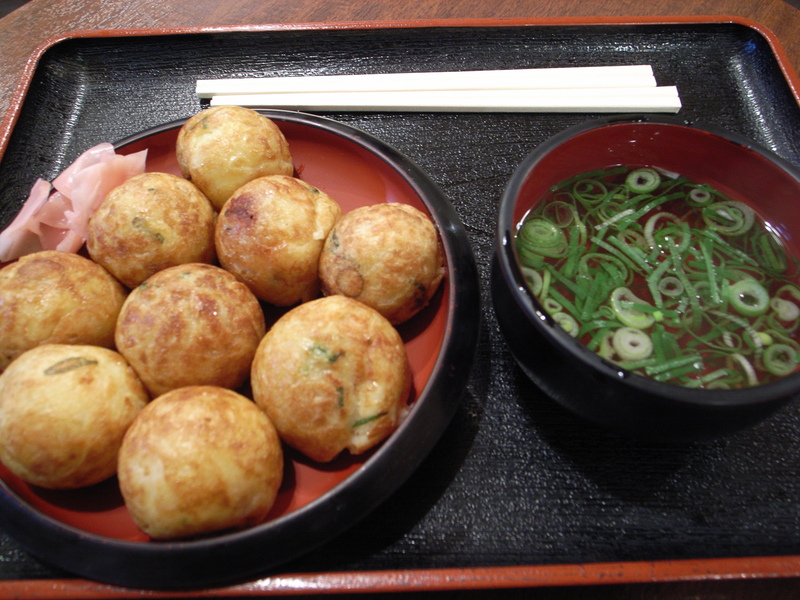 Takoyaki is cooked in a special takoyaki pan, which moulds the ingredients into small balls. It makes a great street food. If you’ve read our previous posts on Kamakura and Hiroshima, you will know that we tried many different Okonomiyaki while in Japan. Osaka has its own version of the famous Japanese pancake. They mix shredded cabbage into a flour based batter, along with many other ingredients such as squid, prawns, octopus and various meats. 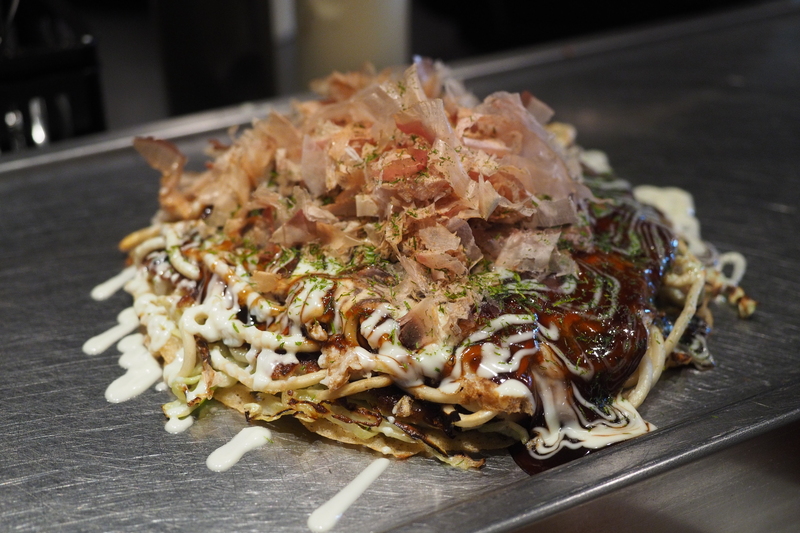 Try Chibo in Dotombori for some of the best Okonomiyaki in Osaka. 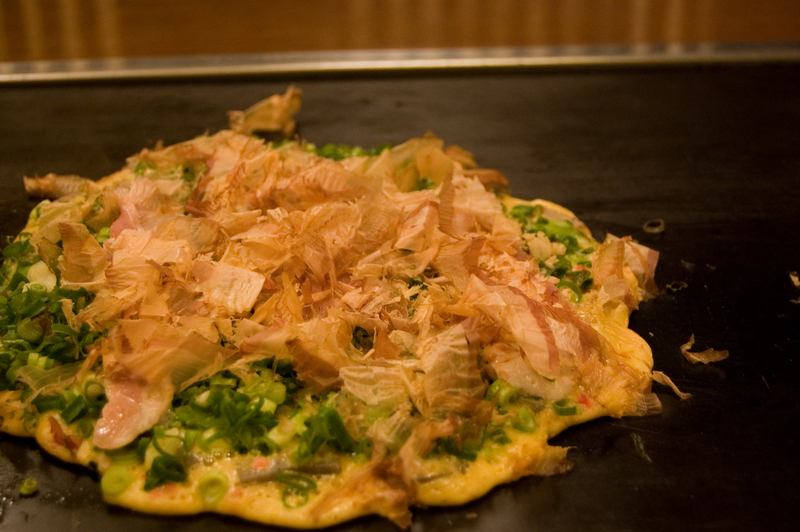 Negiyaki is made by frying a thin batter of flour and water, with lots of spring onions on top. It’s like a vegetarian Okonomiyaki. Taiko-Manju is a Japanese baked sweet. Cooked in a steel drum, it is made from a batter of flour, eggs, and sugar, with steamed bean paste oozing from the middle. 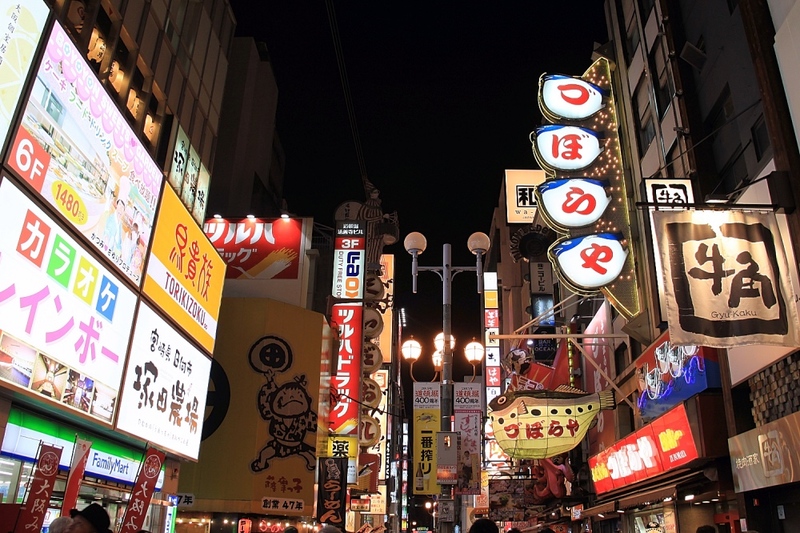 Since you will spend most of your time in the Shinsaibashi-Dotonbori area, I highly recommend staying in that district to save on the cost of public transport. There are many places to stay, ranging from the luxurious, down to mid-range hotels, and even hostels. We stayed at the Best Western Hotel Fino. It was very well priced, very clean and the location was perfect. The rooms were very small but we found this to be the case everywhere in Japan. 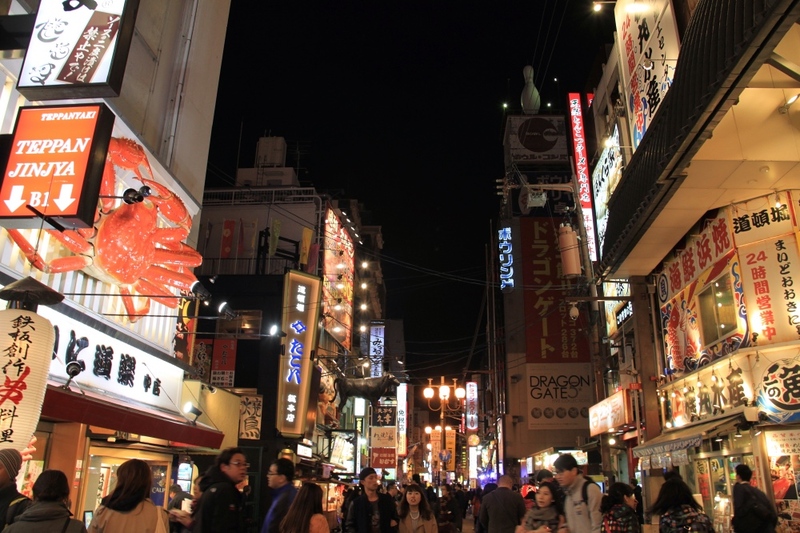 It’s just a few minutes walk from the funky Dotombori district, with its great food and nightlife. It was perfect for us. Though our time in Osaka was short, we enjoyed it very much. It is so different from the rest of Japan. Like Tokyo, it is a modern Japanese city, with neon lights and new buildings everywhere. But it was also a lot more casual, people were friendlier, and the food culture was like nowhere else in Japan. With just 36 hours in Osaka, we did not even scratch the surface of what this dynamic metropolis has to offer, but we made a good start. It was a brilliant way to end our already amazing trip to Japan. We know that we’ll be back there before long. If you have any suggestions, or if you want to share your own experiences, feel free to comment below. If you enjoyed this post please don’t forget to share it. Oh my gosh! Japan is so high on our bucket list and I’m hoping we can make it there in 2018, fingers crossed! I was thinking we could stay 2-3 days in Osaka because as you suggested, it’s a big city and it takes some time to visit all the highlights! Hi Dany, yes two or three days would be much better if you can. Osaka is awesome and we regretted not having more time. I would love to try out the food here. Looks so delicious. There are Japanese restaurants at my place but you get a more authentic feel when you eat locally. Osaka seems to be a colorful and vibrant city. Love the night shots. Thanks so much Gokul, yes Japanese food is definitely more authentic in Japan especially the Okonomiyaki. Nothing like the ones at home for sure. If you are a foodie, you would love Osaka. I really like the view from the Umeda building. I’m sure Osaka requires so much more time but it’s awesome you got to fit in so many things. Hopefully I get to visit this coming year because Japan in general seems amazing! Thanks for this! We’re planning to go to Japan and Osaka is really something that we should consider. Food looks great. I’ve tried Okonomiyaki in different Japanese restaurants but I feel like it’s more authentic there in Osaka. AAAARRRRGGGHHH! 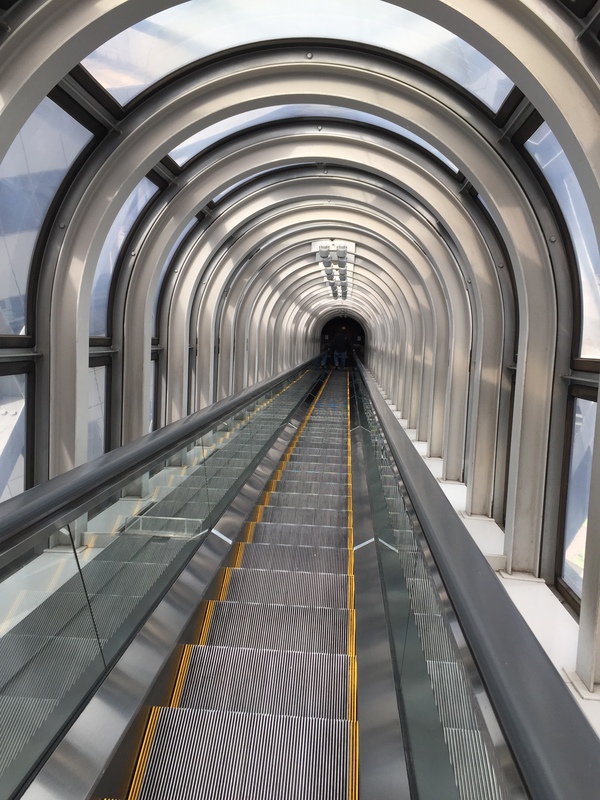 Just thinking about going so high up to the Floating Sky Observatory gives me the cold shivers … but I’d sacrifice my fears for a chance to ride on the world’s highest escalator!!! You sure packed a lot into your 36 hours – I’d probably spend most of my time eating and checking out the giant food models! Us crazy Aussies love discovering the oddities!! Hi Marion, yes the elevator was a bit scary and it’s not for anyone scared of heights. The view from the top was worth it though. You just need to close your eyes as you go up the elevator! Osaka is probably my favorite part of Japan. From Dotonbori (and Ebisu Bashi), to Osaka Castle I love the blend of modern and ancient / traditional offerings. And then obviously Japanese cuisine is one of the main draws to the country, with Takoyaki and Okonomiyaki being a must! Thanks for putting together this great guide – I’m like you, I need to plan a return visit soon because I feel like I only scratched the surface, and more time is a must! I’ve been wanting to visit Japan for its natural beauty but you article on Osaka has convinced me it should also be on my itinerary. Osaka castle and the Omeda sky building will be on top of my list. 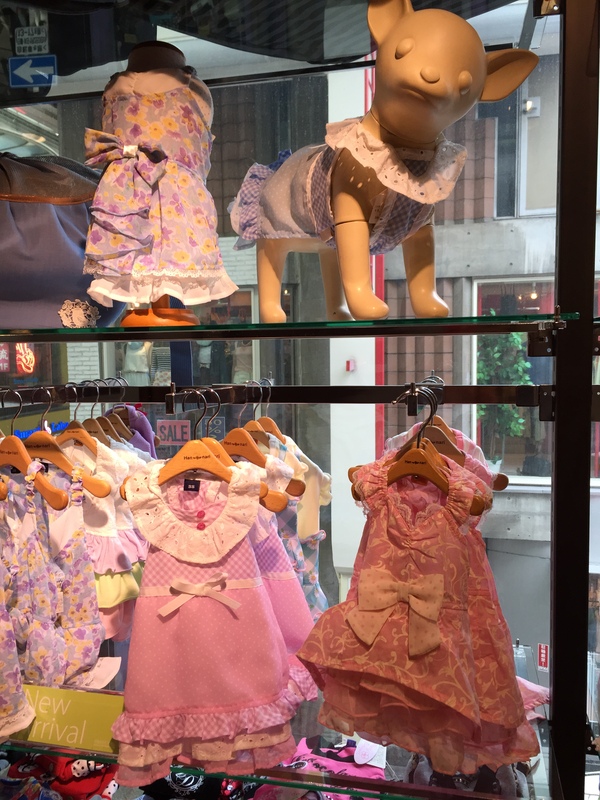 And aren’t those doggie outfits too cute? Hi Linda, Thanks so much. I am sure you will enjoy Osaka. Yes the doggie outfits were awesome!! A really useful guide as we are hoping to visit Japan in 2018. Looking forward to trying the food and love that clothes shop for dogs. Thanks guys, glad you found it useful. We’re planning more of a nature type visit when we finally go to Japan. There’s supposed to be both excellent skiing and amazing diving there, two activities we do. But if we stayed in Osaka at all, we’d definitely want to indulge in Japan’s foodie scene and eat all the delicious things! Hi Jennifer, yes skiing in Japan is supposed to be amazing. I am sure you will love it. I didn’t know about the diving so thanks for mentioning it. Osaka’s food scene was definitely the best in Japan. I have fond memories of Osaka and can’t wait to go back. I’d probably recommend going back for a baseball game at Koshien, whether it’s the Hanshin Tigers or when the huge high school tournament kicks up every year. That’s where people like Daisuke Matsuzaka have made their name. I’ve always wanted to go back and see more of the city, too. Hopefully we’ll both get back there someday. Thanks for sharing this awesome post. It was great to relive one of my favorite places again. Thanks Carl, I am glad you enjoyed this post. Thanks for mentioning the Baseball game too, I had no idea this was happening in Osaka. Will keep this in mind for when we get back some day. Japan is already high on our list and now your post has increased our urge. Japan looks so vibrant and colorful at night. The views from the deck are amazing and the tallest escalator will be thrilling. 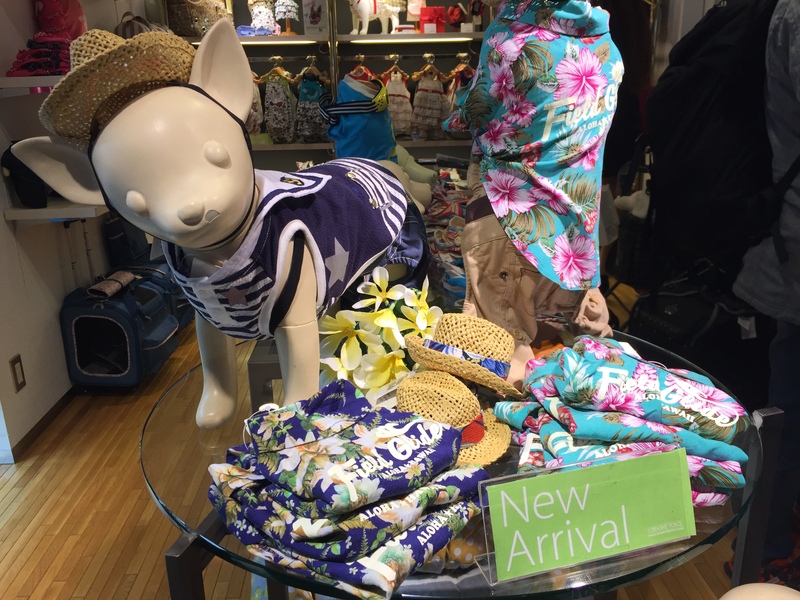 The exclusive shopping store for dogs and their clothes are really cute. I completely enjoyed your post. Thanks for your kind words Suruchi! Glad you enjoyed the post. Japan is the really beautiful place. I love this post. amazing pics. Would love to visit this beautiful country someday..
Its pretty high on the budget, so once i spot a good flight deal, I might just go off.